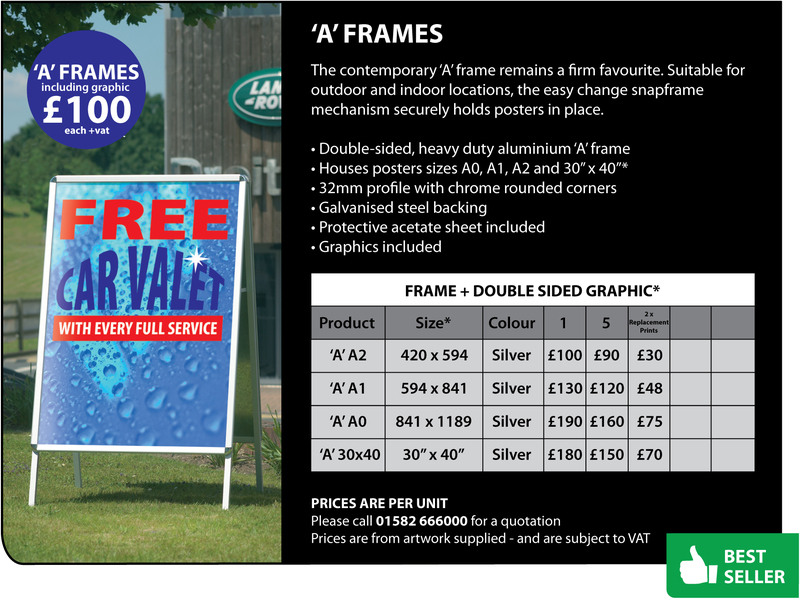 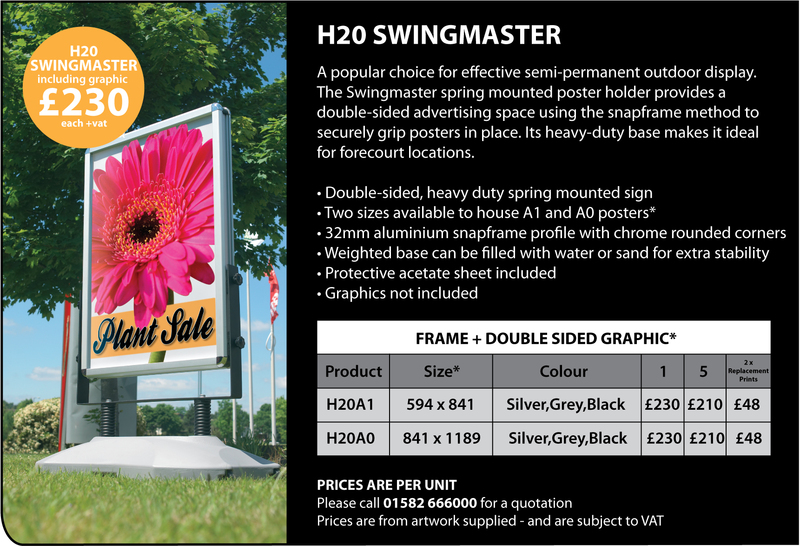 Whatever the weather, our range of pavement signs offers an imaginative way of displaying your banner, poster or graphic, rain or shine. 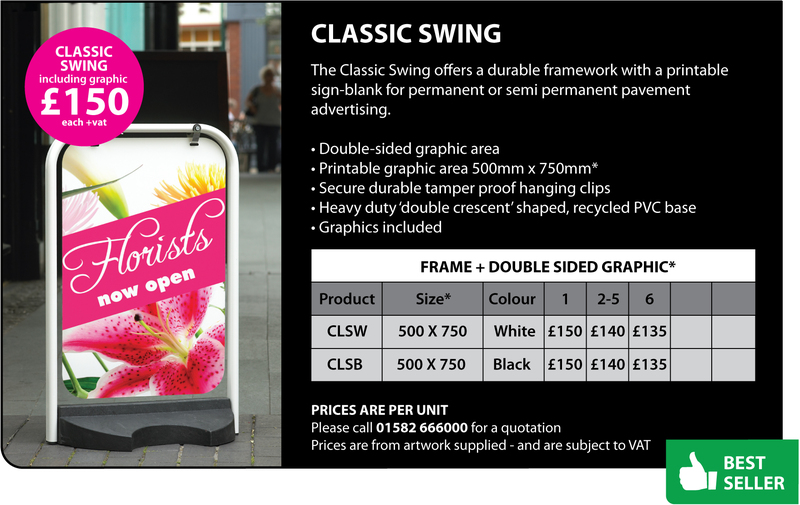 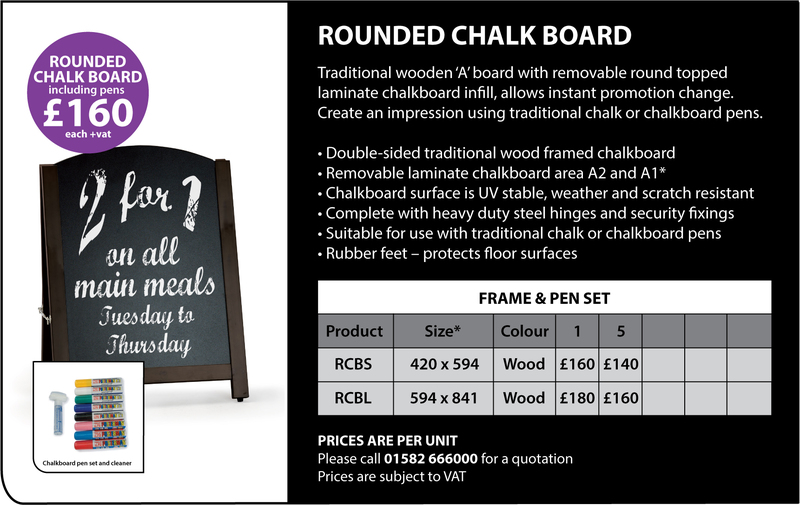 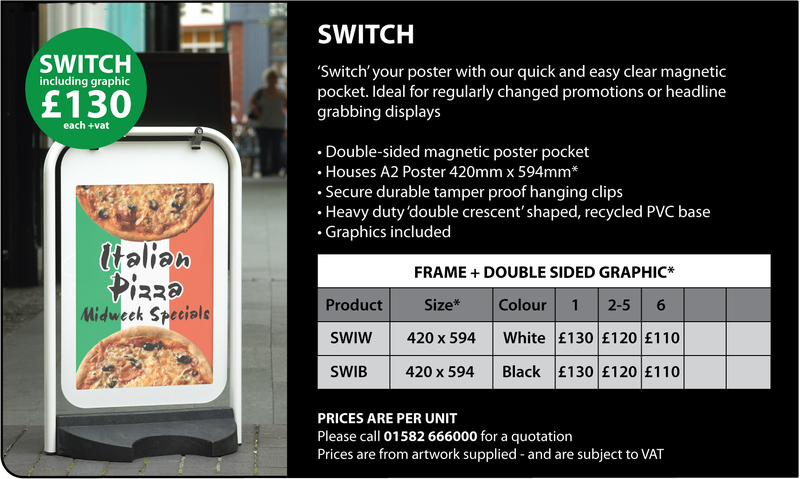 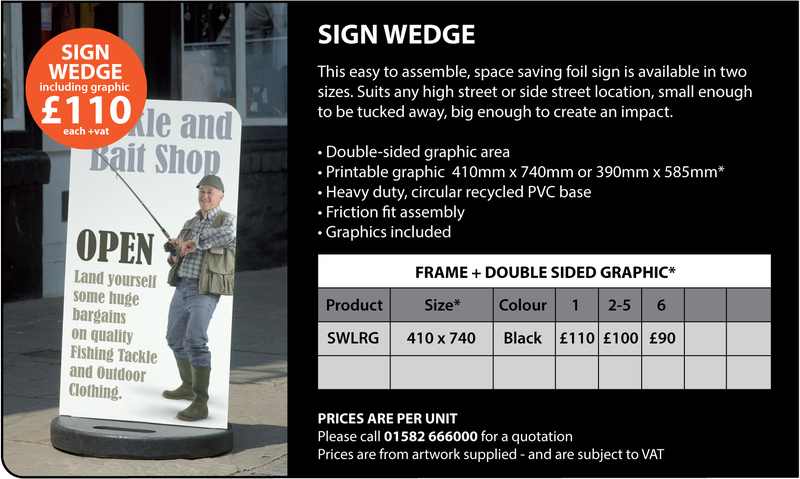 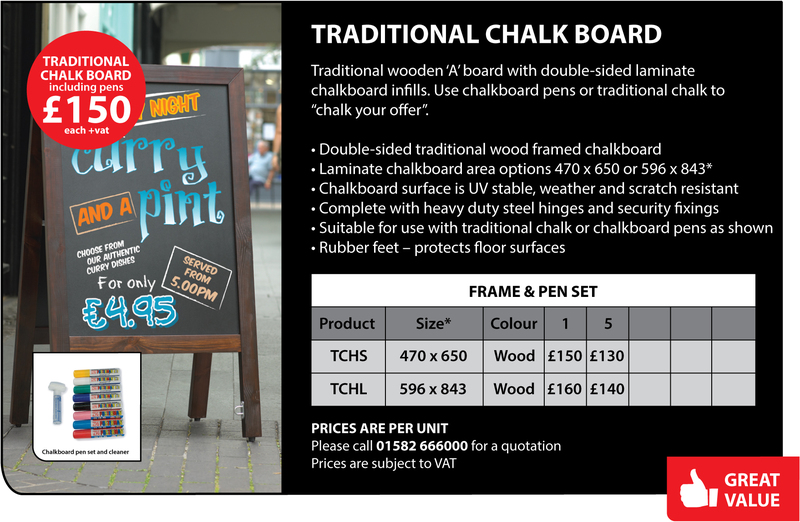 From high street to side street, from pavement to shopping mall our outdoor range comprises of swing signs, chalk boards, ‘A’ boards and forecourt signage. 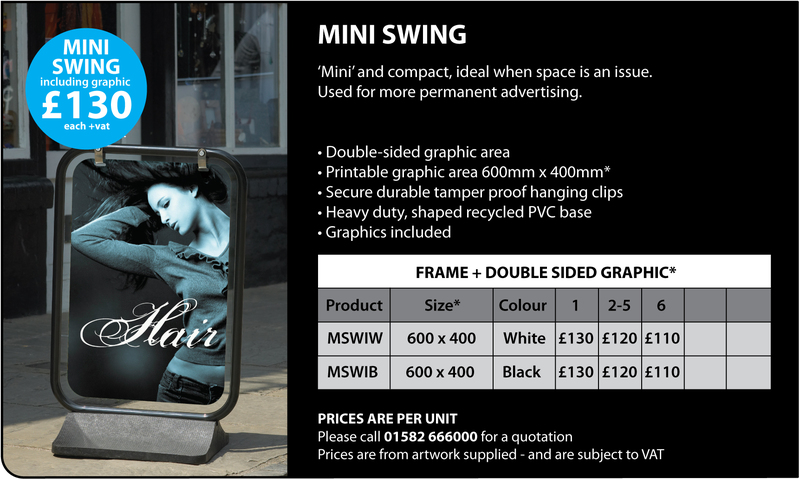 In addition, our trio of café banner systems are perfect for advertising in seating and hospitality areas.